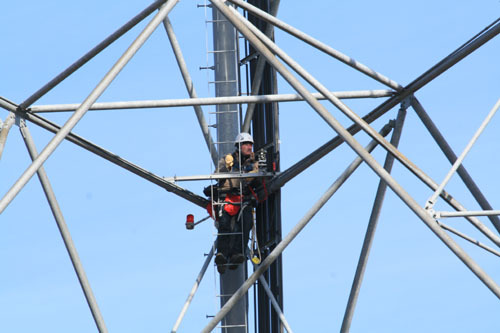 Pathfinder Surveys have over 35 years of experience in designing point-to-point terrestrial microwave solutions for major telecom carriers, utilities, state and federal governments and private network operators. Pathfinder Surveys have solid experience with microwave path engineering including path surveys, topology design, site selection and acquisition, capacity planning, clearance criteria, propagation and reflection analysis. We also collaborate with site acquisition managers and end users regarding new or existing microwave sites and search rings; write detailed reports and present to senior management. Pathfinder Surveys provide path surveys for the design and construction of communication facilities and tower surveys for F.A.A. Certifications across the nation and overseas. Measuring and drafting (ACAD) existing and proposed telecom sites and mapping existing tower structure. Photographing the entire site and the microwave path. Measuring and surveying the terrain features between two telecom sites to ensure adequate line of site (LOS) for terrestrial microwave transmission. Documenting accurate GPS coordinates and ground elevations of both existing and proposed telecom sites. Documenting access information for getting to the site. Terrain data and in-path obstructions are carefully recorded to support a thorough path design calculation to determine antenna heights for each path. An optimally performing microwave communication network begins with a properly conducted path survey that analyzes the microwave path’s characteristics to identify and reduce or eliminate all potential signal obstructions. A detailed path survey can reduce outage time and save money on costly repair or reinstallation bills. As the demand for point-to-point microwave transmission technology increases, the need for a properly designed and installed network becomes imperative.